Courses: Both races start and finish at the Glen. The 5K is a rolling romp through the fields, meadows, and around the ponds, with a short trek in the woods, all surrounding the Glen. The Half Marathon climbs the Thunderbolt and descends Jone's Nose, following trails offering running worthy of the mountain. As always, the sights and scenery are awesome - do enjoy. Directions: From Boston-Worcester: Rte. 2 West to North Adams: from center take Rte. 8 south to Adams. On entering Adams, look for posted trail race signs - or continue to the center to find a statue of McKinley. From there, take Maple St. to the end, 1/4 mile. Turn left onto Notch Rd., go another 1/4 mile to Gould Rd. on right. Gould Rd. is a dead end. 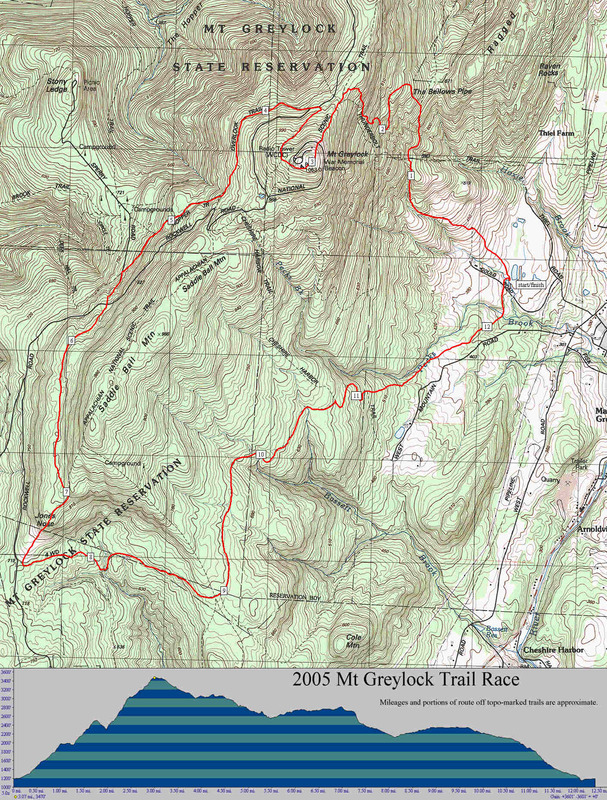 Find Greylock Glen very alive. From Connecticut: Take 91 North to Greenfield, MA. Take Rte. 2 west, then follow the directions above. Results will be posted on http://www.runwmac.com. Restroom available at the Glen. Pre-Entry: Before 6/8/14: $15.00 half-marathon, $12.00 5K. Family discount: no charge in excess of that for three people if pre-registered. Shirts may sold separately, please inquire at the race. Day of race: $20.00 half-marathon, $15.00 5K. For more info: Contact Ed Saharczewski (413) 344-3968, or visit http://www.runwmac.com.